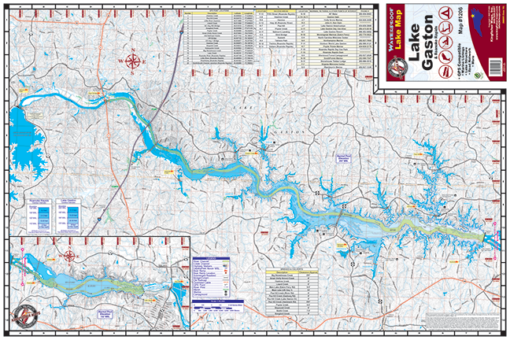 Lake Gaston & Roanoke Rapids #1206 – Kingfisher Maps, Inc.
Lake Gaston & Roanoke Rapids Lake Map #1206. Waterproof & Tear Resistant. 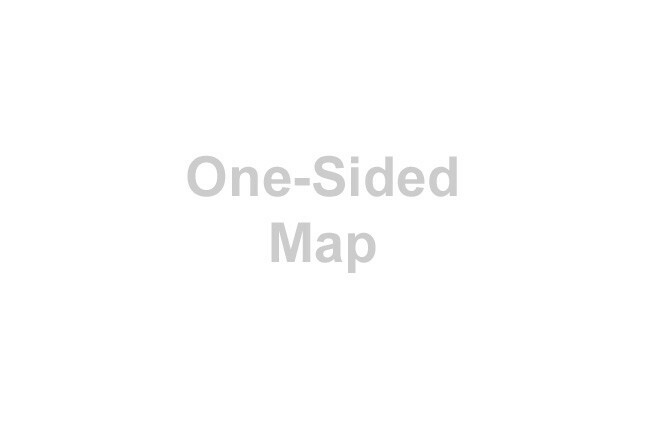 24″ x 36″. 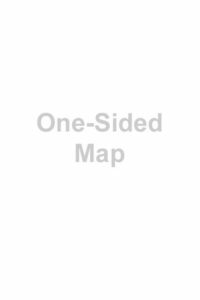 Includes 10ft Contour Intervals, GPS Points, River Channel, Creekbeds, Roadbeds, Access Areas, Marinas and more! 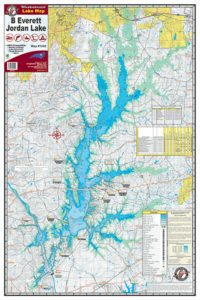 Lake Gaston is located on the North Carolina/Virginia border. 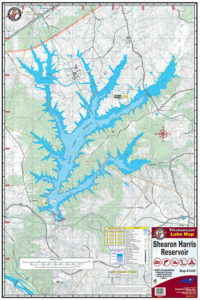 The lake is roughly 35 miles long and covers 20,000 acres, with 350 miles of shoreline. Roanoke Rapids Lake is below Lake Gaston on the Roanoke River near the town of Roanoke Rapids, NC.